for $575,000. This home was built in 1910 on a lot size of 50x130.05x51..01x140. 4 unit apartment building in the prime location in Squirrel Hill just 1/2 block from the center of the business district with great shops, iconic pizza parlors, restaurants, deli's and so much more, great rental history, fully occupied. Owner pays all utilities, great apartment huge 3 br, 1st flr apt new flooring, huge kitchen, breakfast nook and slider to backyard with 2 off st spaces and driveway. 2 apts on 2nd flr, #2 new flrs, maple cabinets, granite counters, updated bath. 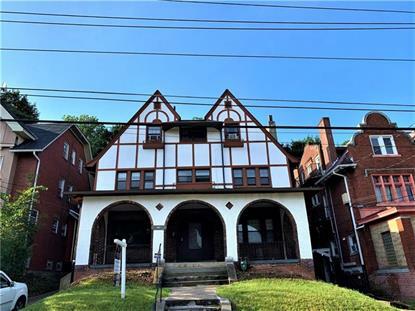 #3 (2br) large 1br apt, 3rd flr 4th apt 2 br, cathedral ceilings, open floor plan, large kitchen, each apartment pays yearly towards utilities. 2 tenants pay monthly for off street parking in back. Laundry room on lower level with Owners coin operated washer & dryer.